Which was basically the size of a lifted Golf. From the Euro perspective they are different size vehicles, although the difference isn't big -15cm in total length and one suitcase more of trunk space. But no matter if we classify them as one size or not , T-roc is just a lifted Golf with focus on styling, while Ateca/Karoq is traditional SUV(more practical). For markets that don't have Seat/Skoda this rebadge can make a lot of sense. Basically every new SUV is more or less successful and I really can't think of any new one that could be de described as a total sales flop. ...I really can't think of any new one that could be de described as a total sales flop. Atlas...it's selling 1/5 to 1/4 the volume it needed to hit to be significant in the market. It's current sales rate--if annualized--is no better than the Passat did last year and that model is in a sales death spiral. Very similar volume, but the Passat is "dead" and the Atlas is a "stunning success". Whilst there are minor size differences, most people will still see a T-Toc, an Ateca (which this is with a different grille) or a SWB Tiguan as a lifted Golf, and when we look beside PR bull****, they are very close altogether (and under the metal identical anyway). They are all more or less same width, same height within a few cm and 4,2 - 4,3 - 4,4m in length, which results in probably one suitcase more in the trunk. Visually, only the T-Roc looks a bit fresher, joining the dual tone paint trend and a less boxy/upright appearance. 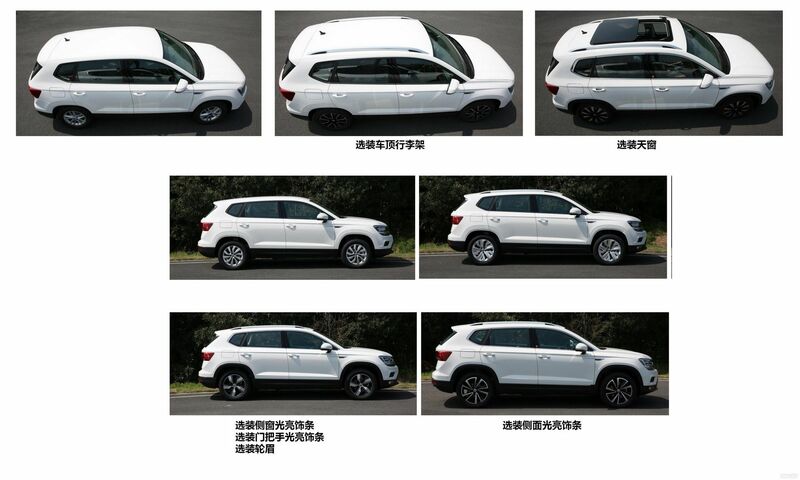 None of them has a truly upright SUV driving position, all feel still more "lifted car"
Granted, the Tiguan gets no torsion beam rear axle on the base spec and has always 4 cylinders (for now at least), but even then, most dealer offers for the typical mid spec car are very close in price too; Ultimately, choice is mostly up for taste, but to argue with actual technical differences, I don't see them worthy enough to be the ultimate decision maker. Couldn't find a thread for this one. 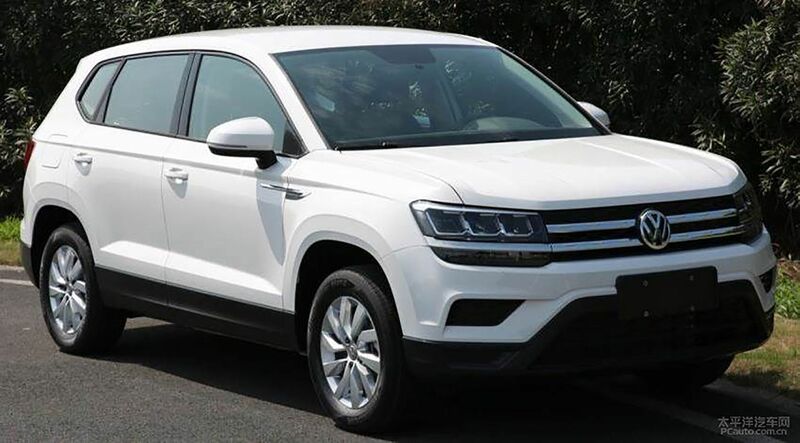 Appears to be what the US is getting instead of the T-Roc, to be revealed in China later this year. Hard to tell for sure, but I'd bet this is essentially a re-nosed Seat Ateca/Skoda Karoq. The doors appear to be the same on all 3, and the size would be about right since it's about 10in. shorter than the Tiguan Allspace. Looks like a SWB Tiguan. I like Tarek better than Tharu, but this is VW, so idiocy in naming is the norm. I like it. The segment needed a contemporary, clean and conservative design and this fills the slot nicely. I would have rather them bring the SWB Tiguan instead however. Looks like a SWB Tiguan. Yeah, I don't really see the difference, either. At any rate, VW desperately needs a model in the subcompact CUV range, so this should do well. It looks modern but inoffensive.